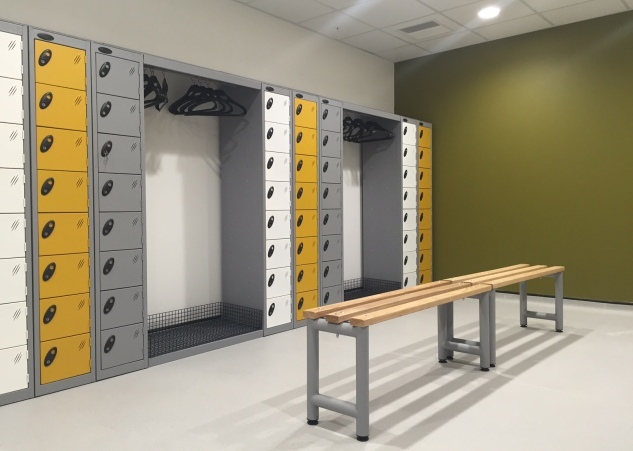 Superior Storage Solutions offers this comprehensive range of easy install cloakroom seating and storage units with a wide choice of options and accessories, ensuring you will find exactly what you are looking for. 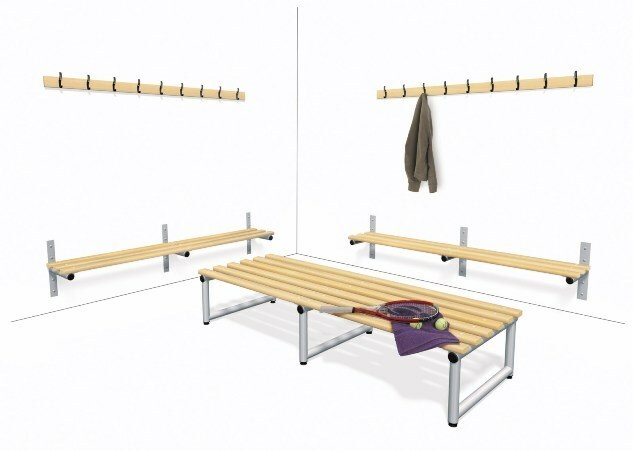 Ideal for use in schools, staff cloakrooms, changing rooms and sports centres, our range includes bench seats, benches, hanging benches both single and double sided, hook benches, wall mounted benches and wall mounted shelf and rails all with a host of options and accessories. All benches and seats are manufactured to the highest possible standards in a choice of six exciting colours to match your interior and come with adjustable feet for ease of installation. 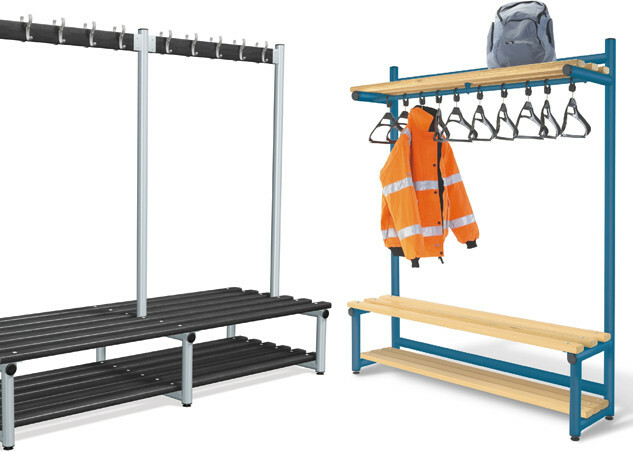 Our cloakroom furniture frames are constructed from robust 50mm round, thick wall tubing with welded joints for strength and durability and is available with both solid ash or food grade polymer slats. 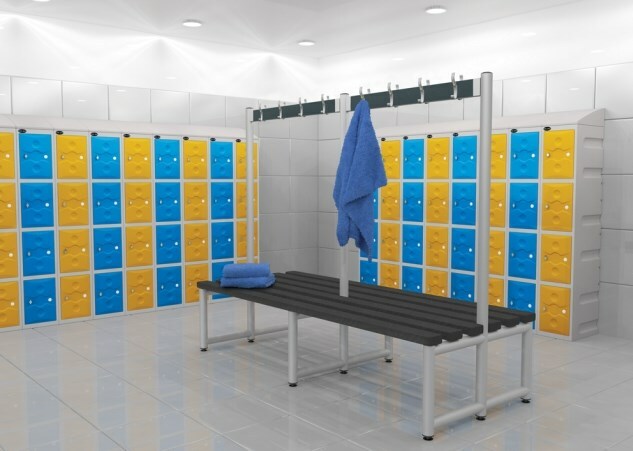 All our timber comes from suppliers with positive reforestation policies, and is supplied from sustainable forests and our food grade polymer slats are manufactured with the same high performance anti-bacterial elements that go into all powder coatings used on our lockers and cloakroom products. The innovative under bench shoe baskets and shelves offer the perfect solution to maximising storage space and keeping floors clear of clutter. 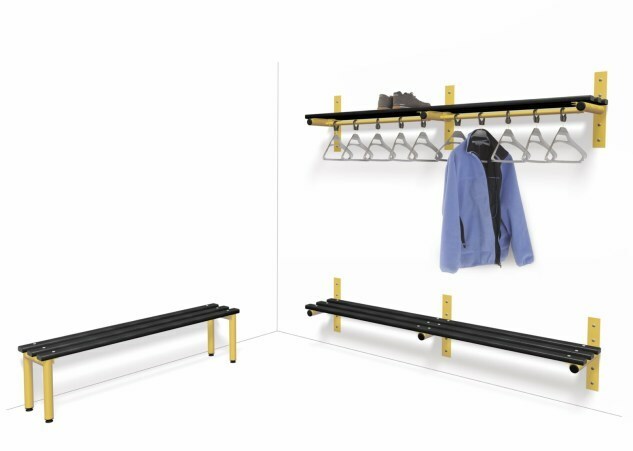 All our cloakroom benches are offered in 1, 1.5 & 2 metre lengths with all floor standing benches available single or double sided for maximum flexibility. 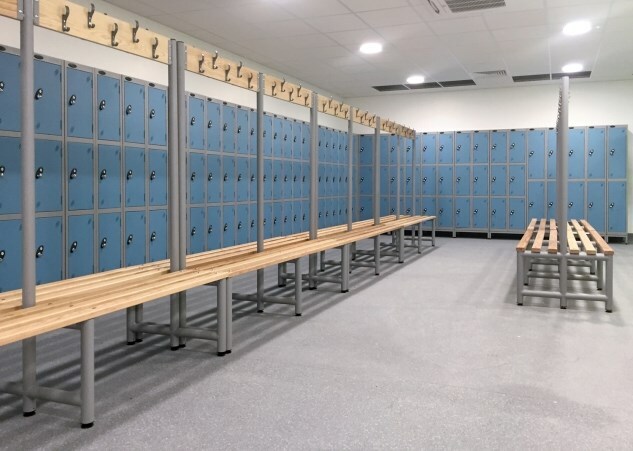 If you’re looking for high quality changing room benches then look no further, we’ve got the solution for you.